YouNoodle | How is food+tech changing the food industry as we know it? Being sustainable is not just about creating a low carbon economy. If we truly want to lead a healthier life not only for ourselves but for our planet we need to pay attention to what we eat. That’s where innovation comes in. Over the past couple of years we have seen a rapid growth in the food+tech industry. Products and projects like sensors and software that help farmers improve margins, crowdfunding platforms that help food artisans jump-start their business and big data and apps that allow consumers to make more informed choices are now everywhere. This surge of startups and innovators is disrupting how food is produced, distributed, sold and consumed everywhere. 1. Consumers are more informed and conscious about their food than ever. Millennials are more likely to demand responsible business practices, quality products and services than previous generations. They’re a powerful global economic force and are not afraid to ask what’s in their food. With new technologies helping to increase transparency throughout the supply chain, consumers can and will demand to know where and more importantly how their goods and services have been produced. If brands want to capture a special place in their customers’ hearts (and wallets), responsible behavior is a must. 2. IoT continues to revolutionize the way we grow, distribute and consume food. 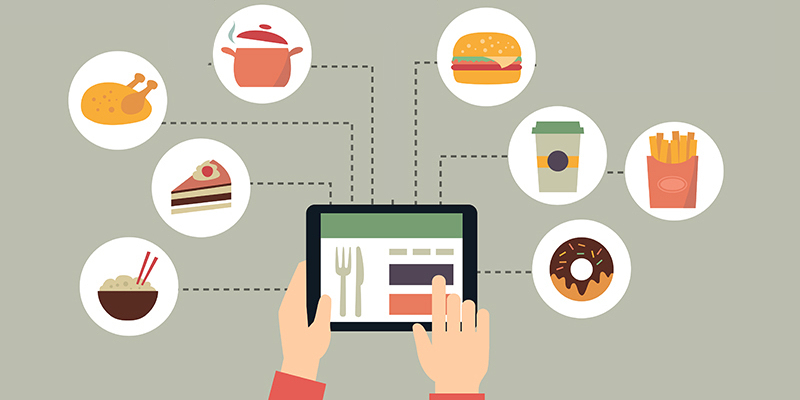 New technologies continue to revolutionize the way we interact with food. We can now use sensors and agricultural devices that monitor the soil and water conditions of gardens and crops to increase efficiency. Due to the surge of rooftop greenhouses and vertical farms that continue to bring food back to cities and closer to the consumers, it’s easier than ever to get fresh produce in urban environments without the environmental footprint of transportation. Finally, restaurants like Eatsa are rethinking fast food by creating healthy, plant based foods at accessible prices while cutting down operational costs by running their restaurants through automated systems. Stay tuned, this is just the beginning of all the endless possibilities of intersecting food and tech. 3. Distribution and storage: the big challenge (and opportunity) for developing nations. The FAO found that 40% of all fruit and vegetables grown in Sub-Saharan Africa is wasted postharvest, which is primarily due to inefficient distribution and storage systems. With so much food and value being lost, the opportunity for technological innovation to reduce waste, get more food to tables, and generate profits is significant. 4. We need to rethink how we handle waste. As companies and founders look for ways to increase efficiency, waste will no longer be treated as a problem or externality. Food waste throughout the supply chain can be treated as a huge opportunity for startups to develop new technology which would provide significant value for operators and investors. Turning food waste into biofuels, fruit skin into fabrics, or figuring out a way in which good leftover food can be passed on to those in need are just some of the ways in which we will see great innovation in the upcoming years.